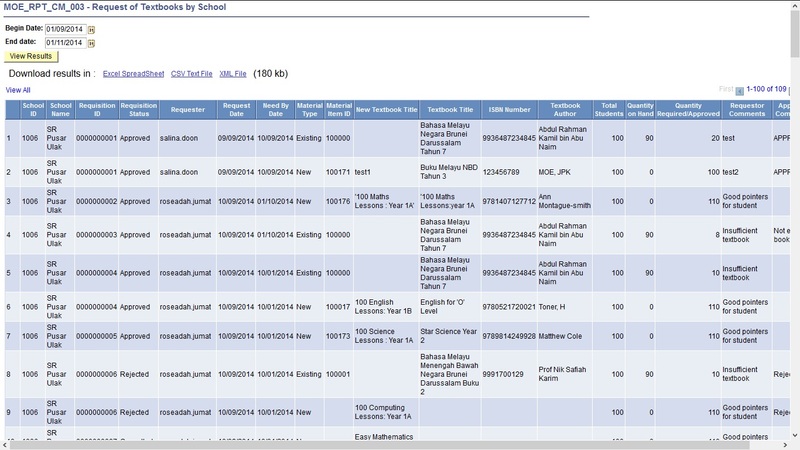 This function allows the users to view the list of textbooks/materials available in eachschool inventory and their status. Click Search By dropdown and select Description from the list. Enter Request of Textbook into the field to the left. Click Run to HTML link to open the report. Enter the date into the Begin Date and End Date to view the request submitted between the period defined. Click onto View Results button. The list of submitted requests and thier details will be shown on the page.